You are looking for a new hobby. It needs to be exciting and something that will keep your interest but nothing too confining and restrictive. It can only be Scuba Diving! See things most people never will! Scuba Diving opens up many places to its enthusiasts. 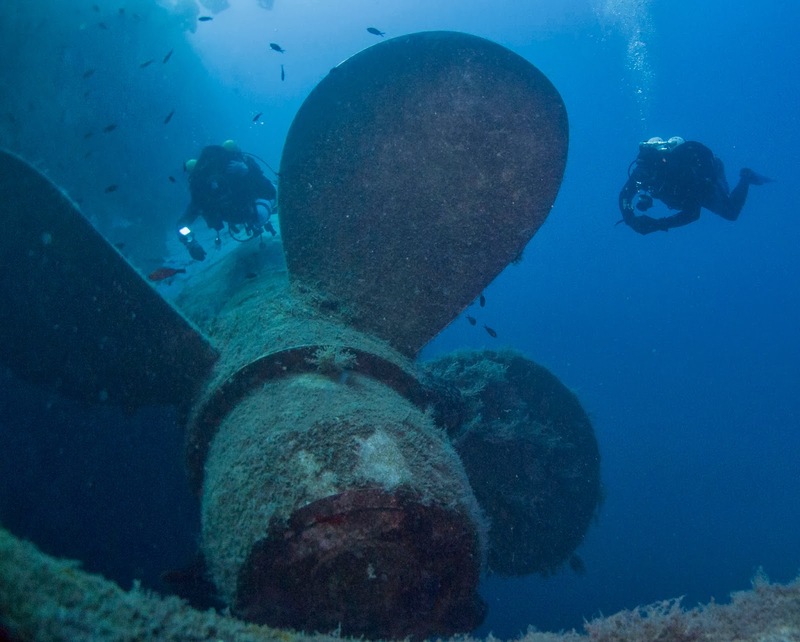 Not only will you get to experience underwater landscapes but also, some travel destinations that are little visited by those that do not dive. The beauty of an underwater reef in Egypt, the continuing majesty of the wrecks in Truck Lagoon or Scapa Flow or maybe the diversity of life in the Galapagos. All add their own insights into life and the world and we are the few that can experience it in its entirety. Go Places, Meet People, do things. 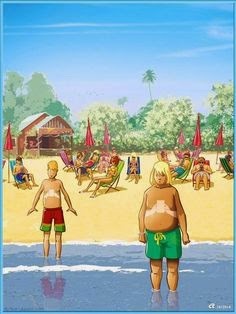 In this world of mobile technology, there are constant jokes about how we are beholden to our mobile phone, tablets and technology in general. The upshot is, Social Media is reducing our ability to be social. Scuba Diving is one of the most social hobbies you can have. Everybody who loves Scuba wants to talk about it. 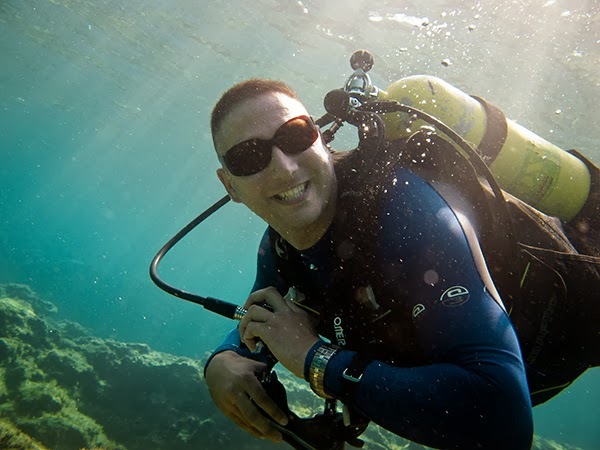 You will never be short of conversation in a crowd of Scuba Divers... and yes, there is technology involved in Scuba Diving but it isn't the be all and end all. Pop a tank, BCD and regs on your back and you are good to go and don't forget about the post dive get together for a chat and logging afterwards. That always comes before posting your pictures to Facebook! Scuba Diving is almost like underwater meditation. You get an overwhelming sense of relaxation that just allows your mind to shut off from the problems of the day. Try watching a reef of coral with all the fishlife around it and still think about that business meeting coming up. Some big business chiefs own fish tanks to help them relax... well, this is the real deal. If that wasn't enough, you are exercising at the same time, which not only helps to relax your mind but help your body too. You get out of Scuba Diving what you put in, so if you find yourself getting bored of it, it is your own fault. 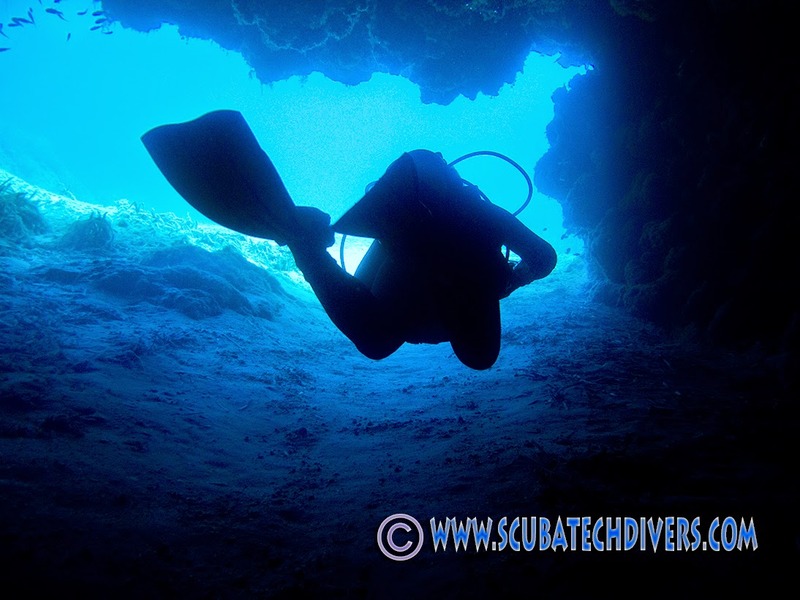 Once you are qualified, there are lots of different branches of Scuba Diving you can train in to branch off into areas you are interested in; from underwater photography to deep diving, technical diving, rebreather diving and even moving into other arenas such as; commercial diving, marine biology and Underwater Archaeology. Also, you can travel around the world with Scuba Diving, which means there is always something new for Scuba Divers. 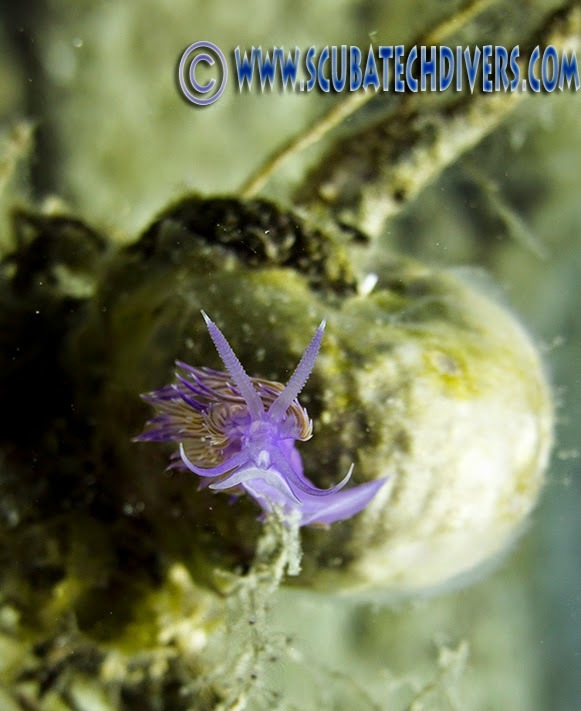 Re-visiting our Cyprus Dive Sites series, Let's look at another local shore dive site in the Protaras area. This is Cyprus' very own Blue Hole. The Blue Hole is very easy to access, being in the same area as Green Bay, but heading out East instead of North. 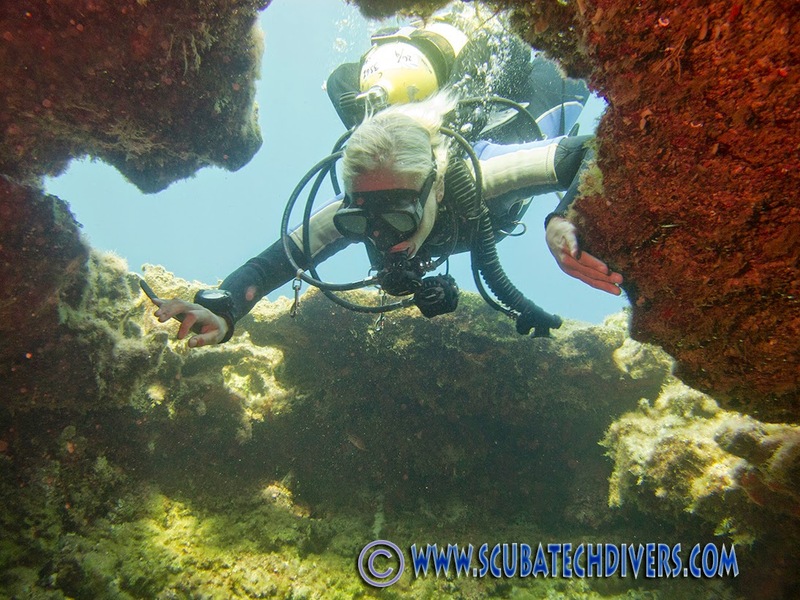 We clamber over a couple rocks before dropping into some very shallow water and heading out over a shallow reef. You have to keep your eyes open here, as there are usually plenty of little fish to keep you occupied with the occasional squid and turtle sighting. Following an Easterly bearing we drop into a sandy channel, which you follow South to the "Millenium Falcon". Before you Star Wars fans get too excited, it isn't the real one crash landed in Cyprus but a rock shaped like the famous starcraft! Behind the falcon is a lovely archway hiding squirrel fish, sponge and moray eels. Continue East and the depth begins to increase to around 12 metres where you find the drop off and 2 cracks in the ground, the second of which is our Blue Hole. Drop into the top and swim through the cave, that is home to more squirrel fish, grouper and purple corals. We exit the cave onto sand at 18 metres and if you swing around to the right, you can find the old wreck of the car that is starting to become visible again after the recent wind storms. Maximum depth here is 22 metres. Heading to the left takes you around the next little bay and through the abandoned fishing nets, where if you are lucky, you can find Octopus, nudibranchs, squid and Barracuda. This bay gives a gradual ascent to 6metres and if you keep a check on the west heading, you should find yourself at cave number 2, which will exit in the same channel the Millenium Falcon was in. The Blue Hole is a fantastic dive site where you never know what you might see but the fish life can always be found if you know where to look. Be aware of the boat traffic over your head and we would recommend carrying your DSMB for this dive, just in case! If you have sufficient gas left, we can usually exit through Green Bay to make it a gentle walk out. Two Dives in One... now that is a bargain!